Yesterday, I tweeted a link to a damn sweet collection of photo manips done by this talented Tumblrino. It reminded me once more how bad J.K. Rowling is at marketing the Potter franchise. Well, “bad” is a strong word. Let’s replace it with “extremely careful”. Though the typical merchandise and multimedia products are available, the Potterverse has never been the backdrop for something like a spin-off Saturday morning cartoon, a comic book series or something else that expands on the world presented in the books. While that is a good way for Rowling to protect her intellectual property from the mad ideas of other authors and marketeers, it is also a missed chance for a setting so rich like that of the Potter books. Let’s just take a look at, for example, Star Wars. Over the years, the so-called “Expanded Universe” has deepened and enriched the franchise through comic books, novels and an animated TV show. “Enriched” is both negative and positive in this case: for every great character added to the pantheon of space heroes, a dozen plot holes popped up due to sloppy writing or contradictions with other storylines. This, of course, is the danger of such an expanded setting: once you give the reins to other authors, you don’t know what they will do to your creation. That must be a scary feeling, but one should also not forget that new people bring in new ideas. I’m not saying the Potter franchise will die anytime soon, but I feel like the world of Hogwarts could use some fresh ideas. I mean, there’s a lot to work with, it just needs some fleshing out! How about a somewhat darker series of stories about Snape’s youth, where we see his lonely moments in Hogwarts, his initiation into the Death-Eaters and his torn psyche? Heck, we already know a lot about Snape, so why not pick something up that has only been mentioned passingly. Murf mentioned over on Twitter how a story about dragon-wrangling in Romania would be damn sweet. What’s a job like that like? How do you hide dragon hunts from mortal eyes? Who would take up such a job? It would be like Deadliest Catch, broadcasted in a pub in Diagon Alley! As said, I can understand Rowling’s caution with handing over control of her universe to other writers, but I really feel she’s missing chances here. If a set of photo manips by a talented git from the Internet can get fans hyped about the possibilities of an alternate timeline, imagine what would happen when Rowling announces a mini-series about such a “what if”- scenario? Trust me, even a Silencing Charm couldn’t calm the fandom then. Jewel over at Healing the Masses posted a great article about immersion in MMO’s, and that post alone is to blame for my sudden need to share my opinion on the topic of immersion. Immersion…the word alone sounds like it is a science in itself. Quite frankly, that is the case. Being capable of having someone utterly consumed by a world that is not real (at least not in most definitions of the word) is both a scientific and artistic feat, and that is probably why so much media fails at it. Still, I feel like the foundation for an immersive experience is not too complicated, and that’s why I want to share with you how any kind of videogame, TV show, movie or book can have me drown in the world it creates. NaNo Prep: what is a “digital dragon slayer”? 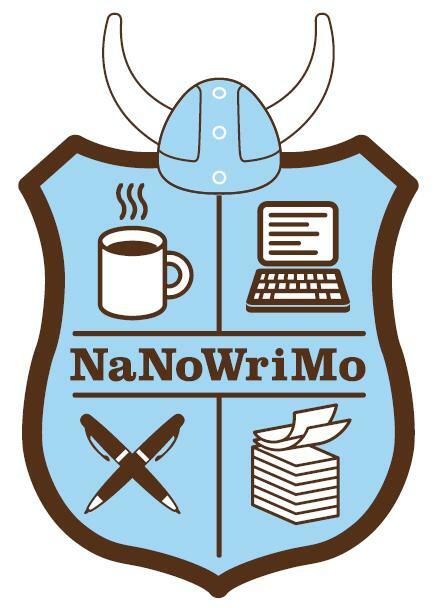 First, I decide to participate in NaNoWriMo. That’s no biggy. I mean, I’ve done it before, so what could happen right? Right? Well, ambition happened. Planning to write an informative discourse about the lives of MMO gamers turns out to be more work than I expected. Researching the history of the genre and trying to get some gamers to share their stories with me is taking more time than I had estimated, and so I guess I’ll be going into November (and thus into writing the damn thing) ill-informed. Oh well, NaNoWriMo is meant to create drafts, not finished books. Right? Sometimes, you just gotta give in and start a revolution. It worked for the French (kinda), the Americans (sorta) and, more recently, the Egyptians (well…), so why shouldn’t it work for me and this year’s NaNoWriMo? Eff yeah, I’ll be what they call a “NaNo Rebel”! So, how does one rebel during NaNoWriMo? Well, while all the other abiding participants write some fictional story about dragons and the people who slay them, I’ll be busy writing a non-fiction tribute to the real dragonslayers: MMORPG players. That’s right, this year’s project will be a written look at the history of these games and the people who play them. Working title? Digital Dragonslayers – when office clerks become fantasy heroes. Why am I not going for a novel like many other participants? Simple: this fascinates me. I’ve been a part of this hobby for years now, and I would love to mix my practical experience with more knowledge about the evolution of social games and the thoughts and motivations of fellow gamers. It’s gonna be an exciting experiment in many ways! Go now. Those dragons won’t slay themselves!